Energy consumption in buildings due to their operation and use has been a concern during the past decade. Relevant legislation is in place aiming to address this issue and to reduce the operational energy consumption in buildings. However, as buildings improve their energy performance, another type of energy becomes increasingly important. This is the energy consumed for building materials to be manufactured, transported and installed on-site: for the replacement of building components and finally; for the demolition and disposal of any waste at the end of buildings’ lifetime. This energy is described as ‘embodied’ and the carbon associated to this is characterised as ‘embodied carbon’. For conventional buildings, embodied energy represents between 2% and 38% of the energy use over their lifetime; this percentage becomes 9% to 46% for low-energy buildings. For the ‘zero carbon’ homes and non-domestic buildings that are to be built after 2016 and 2019 respectively, embodied energy will be 100% of the energy consumed during their lifetime. Therefore, accounting for embodied burdens in construction practices is becoming crucial. The European Standard EN15978 was introduced in 2011 in order to define the process and the relevant information needed for the Life Cycle Assessment of a building and for the calculation of embodied emissions. The stages described in the standard are presented in the figure below. The main stages identified are the following: ‘product’, ‘construction process’, ‘use’, ‘end of life’ and finally, benefits beyond the system boundary, including reuse, recovery or recycling. At the moment, the stages typically accounted for in the construction sector are only some of those included in the ‘use’ stage; namely use, replacement and operational energy use. However, as explained above, it is very important that the other stages get integrated in calculations. One of the principal drivers influencing the construction sector is the relevant policies providing a framework and defining the obligations of professionals and stakeholders. This includes engineers and designers, consultants and private or public clients. Without policies requiring the inclusion of embodied carbon in the construction sector, there is often no motivation for the stakeholders to include this as a factor in decision-making processes. Nevertheless, and despite attempts by some researchers and industry members, the interest in embodied emissions is limited at the moment. The main reasons embodied energy and carbon are not yet part of the decision-making in the building sector include policy issues, increased cost or the perception of increased cost, lack of information and finally lack of client knowledge and interest. The analysis of embodied emissions of different materials or construction methods can require extensive analysis and consequently involve higher cost and longer design and construction times. Therefore, professionals, developers and industry members are not keen on including embodied emissions in construction projects. There are, of course, cases where the early consideration of embodied emissions can achieve improved solutions at no extra cost or time. Furthermore, the lack of information on the embodied emissions of various stages, products and construction methods, makes the process even more challenging. 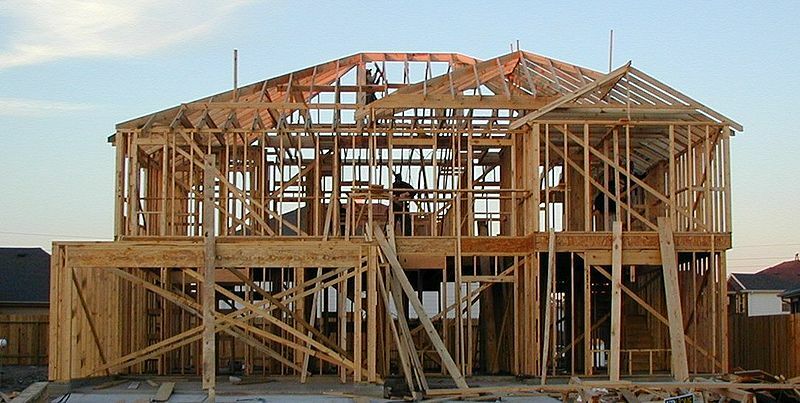 The use of Environmental Product Declarations based on information provided by the industry on their products is not yet developed; thus the construction market does not facilitate the use of potentially low-embodied carbon materials and construction methods. Finally, the client knowledge and interest can be factors that have a significant effect in the inclusion of embodied emissions in the building sector. Setting challenging sustainability targets early allows for smart design solutions and value engineering to compensate for potentially more expensive but in other ways advantageous low embodied carbon products and construction methods. Until the legislation actually enforces the inclusion of embodied emissions in the building sector, it is research, industry and professionals that have the role of promoting the consideration of embodied carbon in construction. Image Credit: Jaksmata via Wikimedia Commons.